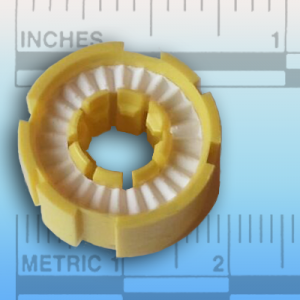 This replacement dissolving pill bobbin is actually filled with a proprietary blend of pharmaceutical-grade microcrystalline cellulose commonly used in manufacturing medications. 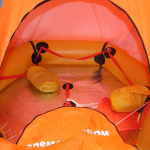 It's also used in many inflatable life jackets with Halkey-Roberts inflation mechanisms. It quickly dissolves on contact with water. 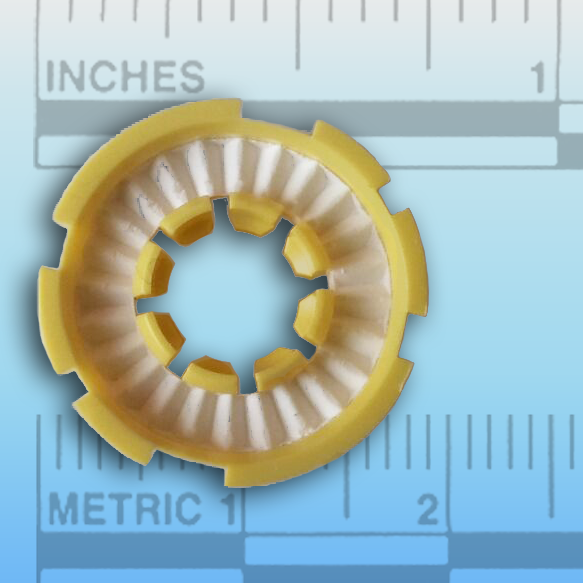 Replacement of this bobbin in your SOS Marine dan buoy is recommended every third year. This replacement dissolving pill bobbin is the same part included in your SOS Marine dan buoy. 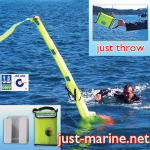 It’s included in the dan buoy recharge kit. Every third year replacement is suggested; you can install it yourself. After you throw the dan buoy into the water, the custom-formed pill material inside the bobbin dissolves within seconds, which allows a spring loaded mechanism to puncture the CO2 cylinder. 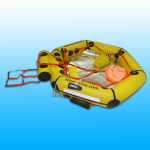 Within seven seconds, the SOS Marine dan buoy self inflates. For complete dan buoy information, including a user manual with servicing instructions, click to the man overboard buoy page. 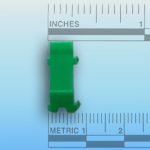 From manufacturer Halkey–Roberts, here is more information on this part.